Philips SHB9000 review | What Hi-Fi? 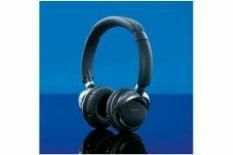 Complete with responsive touch controls on the two earphones for skipping tracks and an easy rotating wheel for adjusting the volume, the Philips SHB9000s prove simple enough to pair and get working. Sadly we're less enamoured by the quality of the sound that's revealed. Sounding cluttered and muffled, with a fair amount of background interference noise, these headphones are disappointing. Jack-of-all-trades it may be, but Philips hasn't yet mastered Bluetooth headphones.